5) Colossal Cinnamon Roll – Kusafiri Coffee Shop & Bakery – While wandering through the Africa section of Disney’s Animal Kingdom and the village of Harambe, guests can opt to eat at the Harambe Market, full service Tusker House, or another quick service location that serves up delicious options for breakfast, lunch, and dinner each day. The Kusafiri Coffee Shop & Bakery is a small ordering window located on the left hand side of the village of Harambe a guests move from the main set of doors into the area towards Kilimanjaro Safaris. For a small location, the Kusafiri Coffee Shop & Bakery serves up a lengthy menu including options such as a Hot Breakfast Wrap, Croissant, Elephant Ear Pastry, Smoked Turkey Sandwich, Roast Beef and Cheddar Panini, and Tomato and Mozzarella Sandwich. While every option at the dining location is delicious, there is one treat that is served all day long that is as tremendous as it is decadent. The Colossal Cinnamon Roll is large enough for the whole family to share, though no one will want to! It is shaped like Mickey himself and is warm, sticky, and covered in a sweet icing. 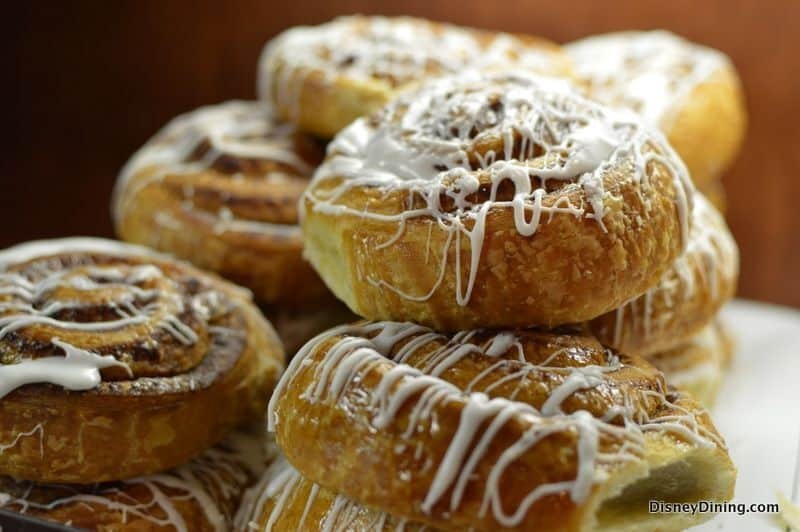 Guests who are looking for the perfect treat to enjoy in Disney’s Animal Kingdom should definitely head to Kusafiri Coffee Shop & Bakery to enjoy the Colossal Cinnamon Roll!